I’m feeling a bit nostalgic today. Thinking about the worry free days of childhood. I grew up in this great little small community. My two childhood best friends lived on my block. We lived a few blocks from an amazing community pool. I married my next door neighbor under the tree in my front yard when I was seven because we both had brown hair. We played ghost in the graveyard at night. And I lived less than a mile from a magical little place called The Bait Shop. Biking distance. Now, The Bait Shop is a pretty hard thing to explain. It was across from a little local beach and it sold . . . well, bait. And candy. And eventually ice cream. And a whole slew of other things. Either way, it totally roped us in. And I vividly remember going across the street, ice cream in hand, to walk in the water bare feet and eatting my treat. Not a care in the world. And that’s the feeling this cocktail conjures up. Carefree, without a worry, basking in the sun. Just like you are eating an Orange Dreamsicle. Only . . . you know. . . with booze in it. To start up this magical trip into nostalgia, zest an orange over one cup of sugar. 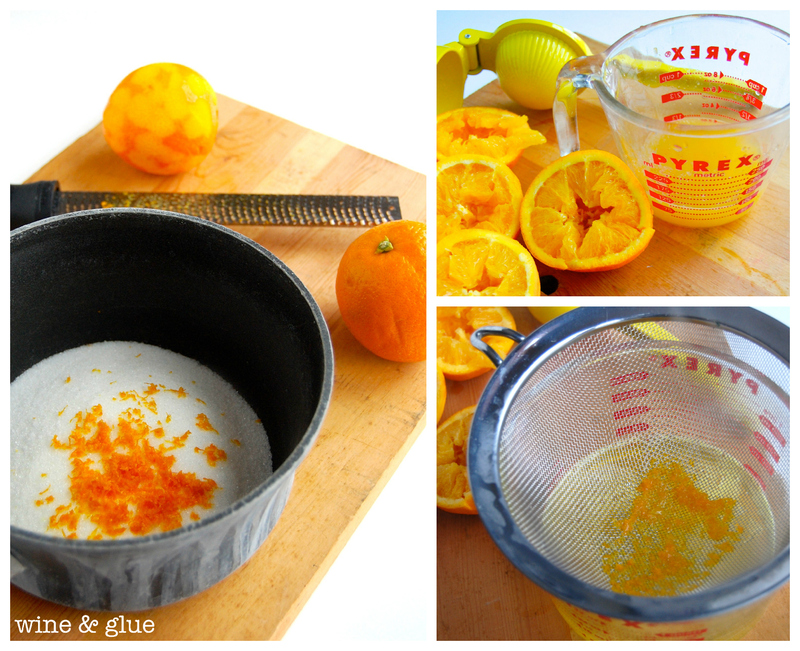 Then squeeze the juice from two oranges into a one cup measure (I got about 1/4 a cup). Fill it the rest of the way up to the one cup mark with water. Combine the zest, sugar, and water-juice mixture in a sauce pan over medium heat, stirring until it comes to a boil and the sugar has completely dissolved. Then strain the syrup to remove the zest. Note: I used a metal mesh strainer, but if you want to make sure you get no zest in the syrup, I would use a cheese cloth. Once the orange simple syrup has cooled, it’s time to get your dreamsicle on! 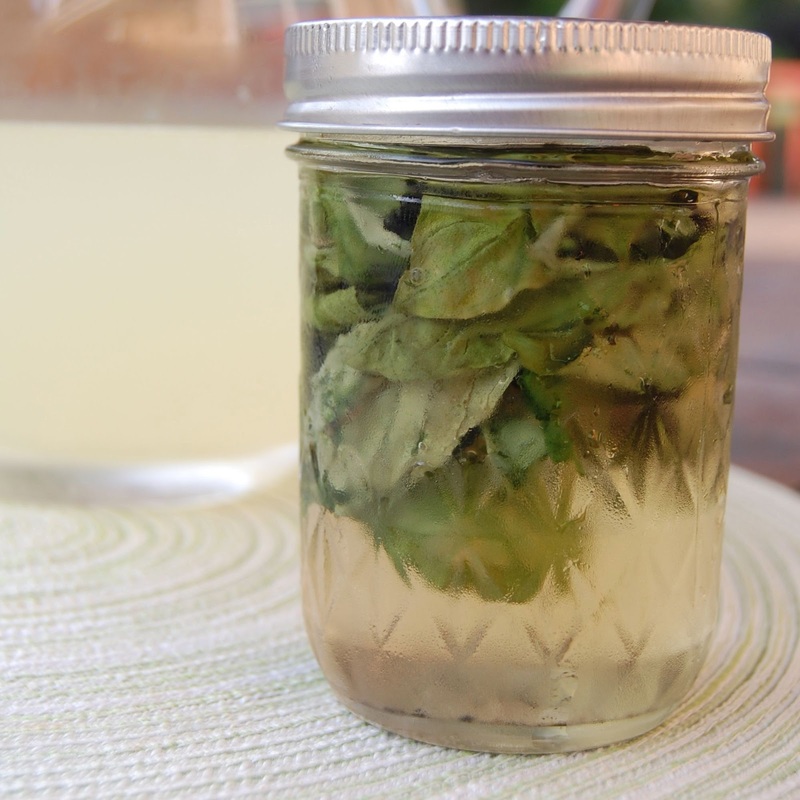 Looking for more simple syrup deliciousness? Looking for more UV mixed drinks? Pour 1 cup of sugar in a medium sauce pan. Zest one orange over the sugar. Juice the orange you just zested and an another into a one cup measure. Fill it the rest of the way up with water, so you have one cup of liquid total. Add it to the sauce pan with the zest and sugar. Bring the mixture to a boil, stirring consistently so the sugar does not burn. Once the the sugar has completely dissolved into the liquid, strain the mixture to get out the zest. Place the Orange Simple Syrup in the refrigerator to cool completely. 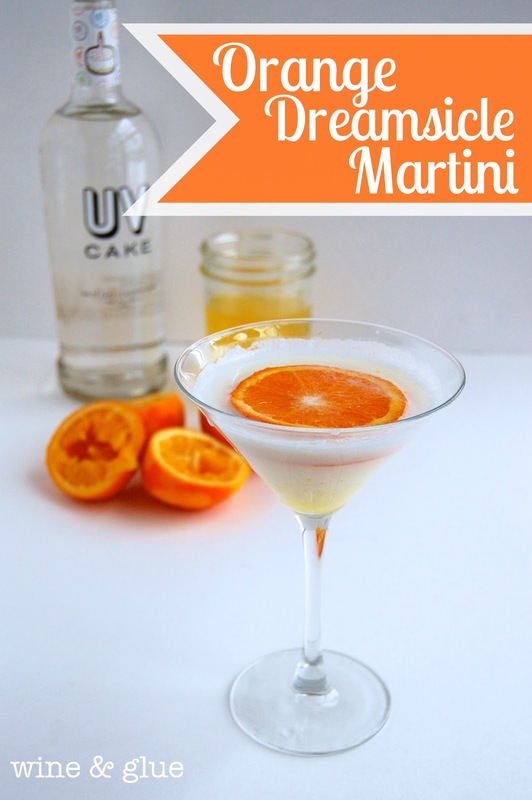 To make the martini, mix 1 1/2 parts UV Cake Vodka, 1 part Orange Simple Syrup, and 3/4 parts Fat Free Half and Half with ice and strain into a martini glass. 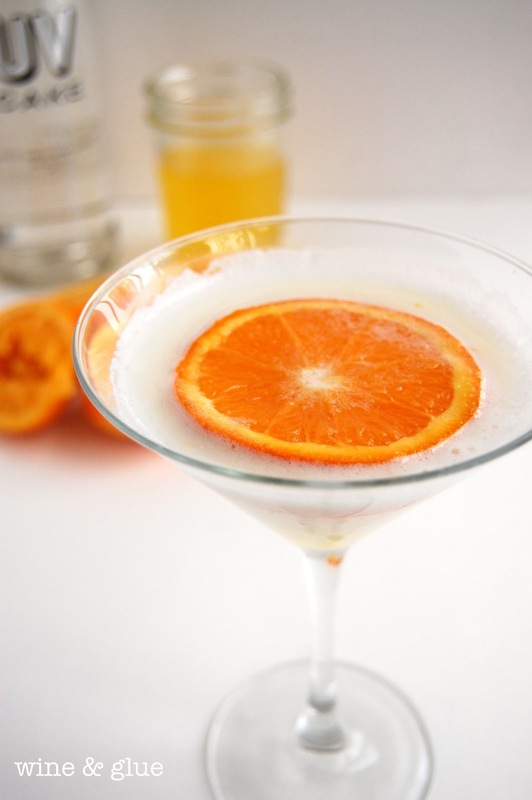 Garnish with an orange slice. *UV is not a sponsor of this post. I have found, that of the flavored vodkas, the lower alcohol content of UV makes for sweeter drinks. ** I have tried with both full fat and fat free half and half. For whatever reason, the fat freeness makes it taste a whole lot better. Go figure. I think I need to go out and buy some martini glasses, because I’m quite certain that either coconut milk or coconut milk coffee creamer will work in this recipe, to make it vegan. I know what I’m doing next weekend! 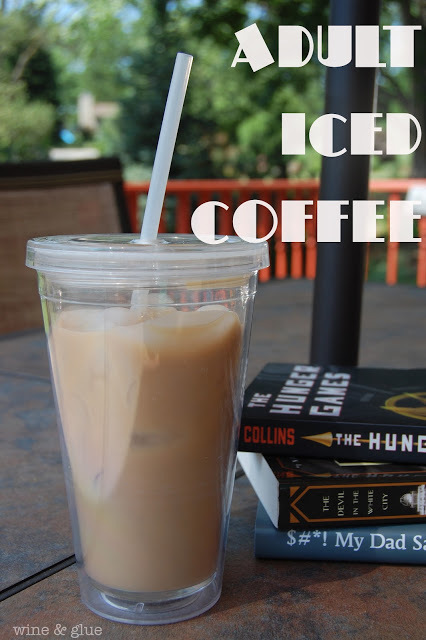 I was totally thinking about you and coconut milk creamer when I made this! Lol! No kidding! I could make you delicious martinis, and you could make me cookies. And muffins. And pies. And ANYTHING with Nutella. Yum!! I would love one of these tonight!! 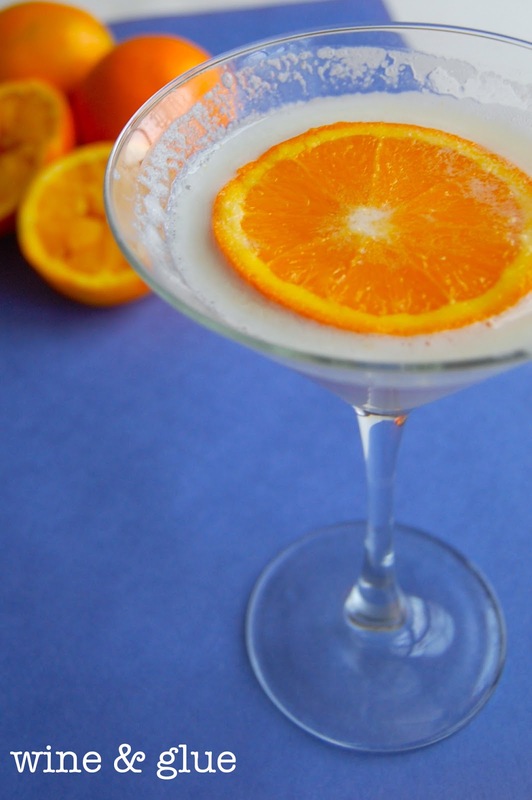 Just the thought of a dreamsicle martini makes me smile! Girl, you just made my summer!